Must admit I'd love to hear one of these up against the Radford. Looks super-cool and that's a great price for this amp. Ok, needs must. This stunning amp is back up for sale. I have a couple of things for sale at the moment, my Reed arm and Vida phonostage. This is because I need to raise 5k and it seemed the logical step to take, easy to ship and buy again. They are both game changers and real high end but even at my price are expensive for most folks. 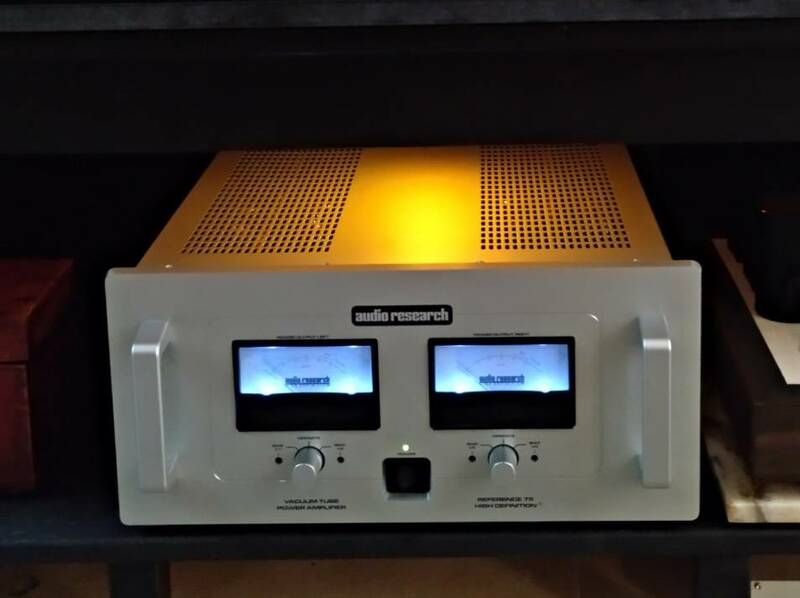 So, as I need to raise cash as quickly as possible I've decided to put my Audio Research Ref 75 up for sale. Gulp. I've had it since November of 2017 and it had a complete service and retube a short while ago and has been in storage most of the time since (I moved house). The service was 800€ not including tubes. I believe I have the receipt for this in the box but if not will have it by email. It's been set up and running the last few weeks and is in A1 cosmetic and functional spec. It sounds great though the tubes have had very few hours on them. It has the original shipping boxes, paperwork etc. It also comes with Cardas RCA/Balanced input connectors (120€) so it can be used with a conventional preamp. The box is big and this beast is heavy. Shipping would be with UPS Priority fully insured and will not be cheap (it's the insurance). But this can be arranged separately once destination is known. If the buyer prefers a cheaper option it is their responsibility. There are a few for sale online and the average price is circa €5000. Mine comes with new tubes (300€), service (800€) and peace of mind that it's in perfect condition. I'd always wanted to own an Audio Research reference product, so this isn't a happy sale for me. But I need the cash, simple as. No I won't be replacing it for the foreseeable future - and I have no idea what it will be when I do. Looking for €3,900. PM if interested. Hi there. I am interested in your amp. Love to come to listen to them before I pay. The issue is you are in Spain and I am in London. So good luck on the sale. Don't think this legend really needs an audition. Safe to say it's something id "buy blind"! Since its 800€ service and 300€ retube the amp has put in around 20 hours use max. I moved house a month after the service and the amp went into storage for a few months once I got into my new place and was waiting for a new alarm system and locks to be installed before setting up the hifi. It isn't something I want to let go as it has been described as what a valve amp should be and can't be bettered even within AR's upper echelons, according to a couple of reviewers who point out that AR has shot itself in the foot with this particular model.Why pay triple when the 75 has it all. It will drive "any" speaker with ease. I just have to keep telling myself that I can get another in the future and not to be so attached! Be good to know likely shipping costs to the UK £?, also who did the service. Hi J. The service was done at Sarte Audio Elite in Valencia, the official distributor/service centre for most top notch gear here in Spain. I have the paperwork for it. Check out their website and prepare to drool lol. Shipping will not be cheap, hence the reasonable price of the amp. You're looking at around 280€ with UPS fully insured. Or approx €180 with GLS who use Parcel Force in the UK. However, such an amp really deserves the best courier and insurance IMO. I should also mention that it has its original shipping boxes, custom bias adjustment tool etc. Any valve amp worth its salt should have bias adjustment as simple as with the ref 75. The be compliment of tubes were bought matched from Watford Valves.